Steam Universe is Valve’s attempt at expanding PC gaming, and by quite a margin. It’s their master plan to control the entire household. And it’s about so much more than SteamOS, although that does seem to be a big focus on Valve’s part. Instead, it’s about moving PC gaming away from the traditional office-like space and into your living room, or just about anywhere you have a TV. Valve’s current end goal for Steam. 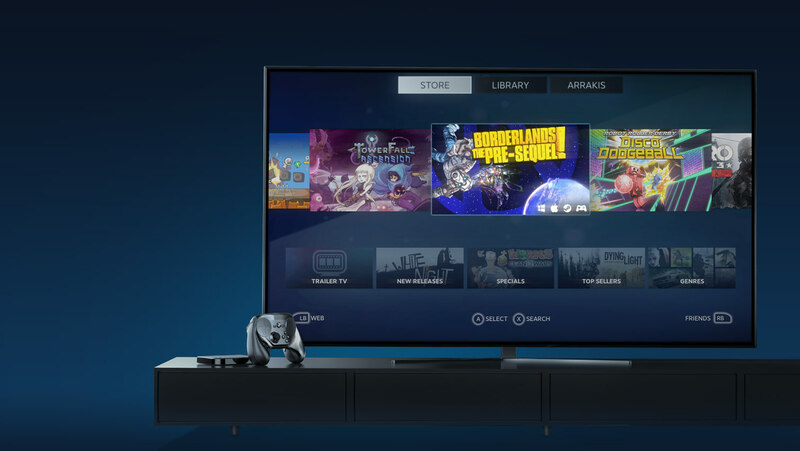 To do so, like the image above suggests, they’ve got a slew of products and technologies currently deployed or in the process of being deployed – technologies like Steam Link and Steam Controller, and concepts like the ubiquitous Steam Machine. But what about portable gaming? Granted, a good portion of the Steam Machines currently on offer are really quite compact. But they still require a gamepad, display and so really aren’t mobile in the slightest. There’s always notebooks, particularly with the advent of SteamOS, but they’re not exactly handheld, not by a longshot. 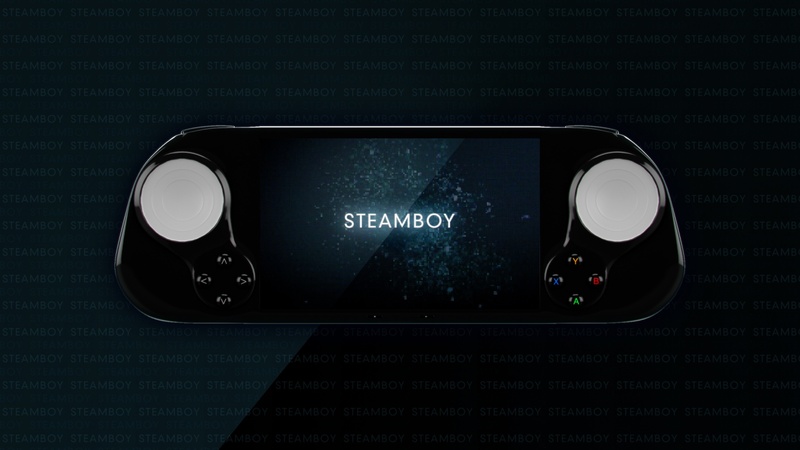 The SMACH Zero, formerly known as the “SteamBoy”. 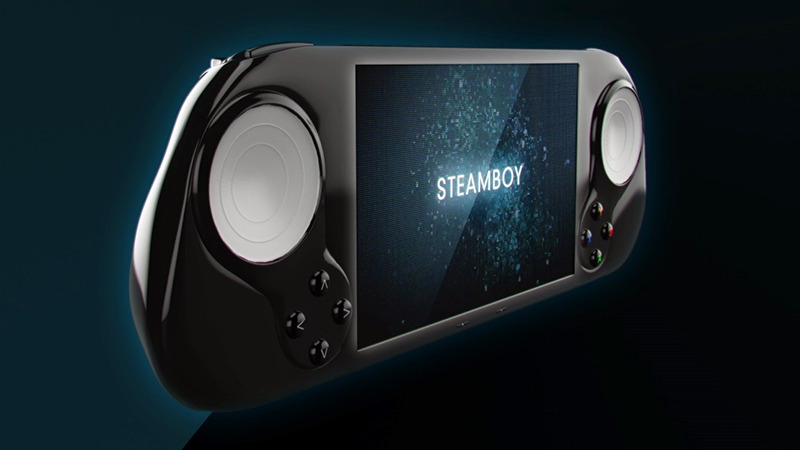 Formerly known as the SteamBoy, for obvious reasons, the newly named SMACH Zero is the first handheld Steam console. The portable x86-based PC/console/thingie promises access to the 1000+ titles currently available in SteamOS’s library, and whatever else is added to the library along the way. As far as specs are concerned, it’s powered by AMD’s embedded G-series SoC (system-on-chip), which means up to four “Jaguar” cores and an integrated DX 11 GPU. Going by the list of potential SoCs available under the G-series moniker, and given that the SMACH Zero is reported to be using a quad core CPU, we can only assume that it will make use of the GX-412HC. That particular SoC is a 1.2 GHz quad core with 2MB of cache and a 300 MHz integrated GPU. Of course, the particularities may be tweaked a little for the SMACH Zero, but we’re willing to bet that it will be fairly close. The console should also come with 4GB of RAM, 32GB of storage, an SD card slot, a 5-inch 720p touchscreen, HDMI output, WiFi and Bluetooth. And should you purchase the Pro version, 4G connectivity. 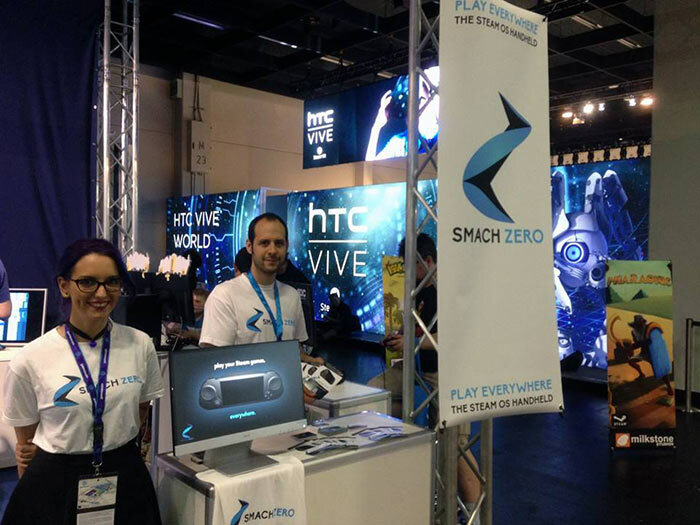 The SMACH Zero being shown off at Gamescom. What that all boils down to is a disappointingly relatively low-spec PC. It’s middling at best, and that means you’re probably only going to get decent frame rates on older titles. It’s only got a 720p screen, so you should be able to bump up the settings of a number of titles, but you can only take it so far. The good news is that there’s an absurd number of fantastic indie titles or otherwise less graphically intensive games still worth investing in. In fact, there’s probably more indie games worth playing than there are games in the PS Vita, PS4 or Xbox One’s libraries. It’s an expensive ask, with an estimated price of $330 (approximately R4300 without local inflation factored in). But it’s still an exciting prospect. Not so much the SMACH Zero itself, although we do rather like it, but the idea of portable Steam consoles.